SuperGrain Millet penne is made in small batches in Nomad Health's family run workshop by hand. They use pure naturally gluten free & nutrient rich ingredients: millet, psyllium husk and turmeric. 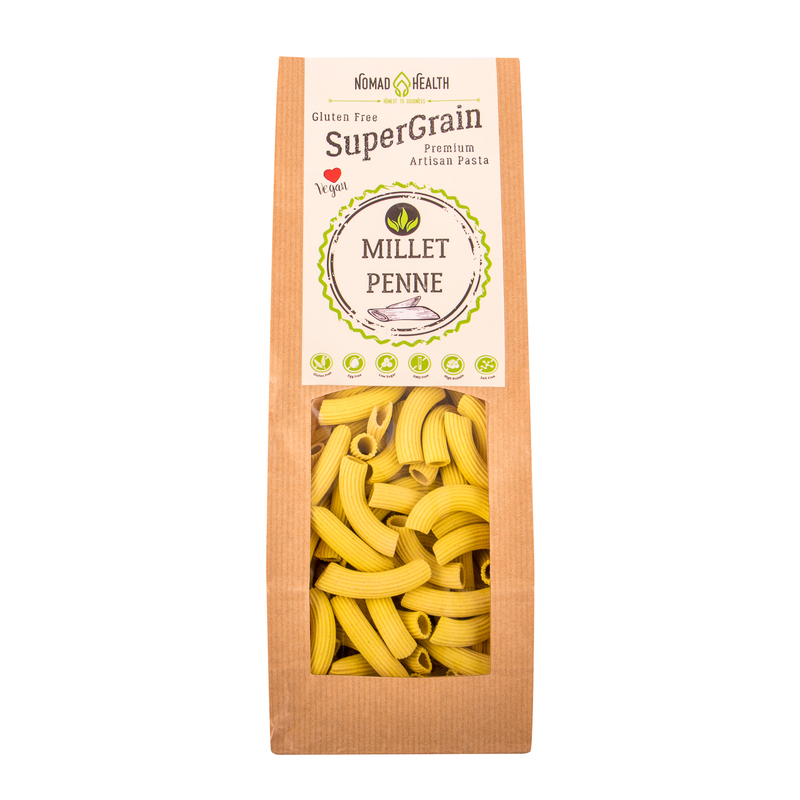 It tastes similar to the traditional pastas, and has a nice yellow color thanks to a hint of turmeric we use (extra nutritional benefit for everyone! ); it keeps its texture perfectly even after cooking. These rich in minerals and easy digestible pasta, are also high in B-vitamins, which help improve your muscle and nerve health. The psyllium husk is an ideal fibre source for those, who are sensitive to wheat, as It has a calming effect on the sensitive intestines, which could be troubled by the fibres of wheat. They are certified by Sugar Wise.